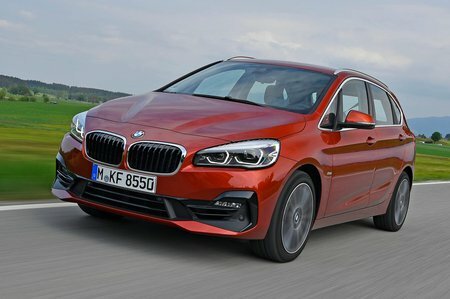 BMW 2 Series 220d xDrive Luxury 5dr Step Auto 2019 Review | What Car? What Car? will save you at least £2,606, but our approved dealers could save you even more. Luxury cars add plusher trim pieces, 17in wheels, a sliding rear bench and electric folding rear seats over SE. You also get leather seats, which are nice but do push the price up over similarly specced Sport models. This is the most powerful diesel engine in the range and makes the 2 Series Active Tourer feel rather sprightly. Efficiency is good, thanks to the standard automatic gearbox, although it does make the car too expensive to recommend.